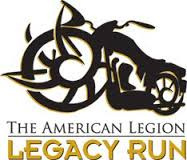 The American Legion Legacy Scholarship Fund, the premier project of The American Legion Riders, is now a priority for Sons of The American Legion, as National Commander Gladden’s main project for this year. National Commander Gladden is requesting increased participation through donations to the fund by Squadrons, Detachments and individual members. Even though the Legacy Scholarship is relatively new, it has touched the lives of many children. Since 2004 the Legacy Scholarship has been providing aid through scholarships funded by the interest generated by the trust fund, for children whose parents have been killed while serving our country. Dependant children of active duty United States military and National Guard, and military reservists who were federalized and die on active duty on or after September 11, 2001, are eligible. High school seniors or graduates must apply annually, with scholarship amounts varying based upon the income available from the fund and number of applicants. Scholarship may be used for undergraduate study at an accredited institution of higher education within the United States. The national treasurer, with the National Finance Commission’s approval, determines the interest amount available for scholarship funding. The trust fund remains untouched and grows with each donation. Scholarships are funded by the interest, which has awarded $291,895 in aid since 2004. Opportunities abound and there is plenty of time to conduct a fundraising event for the Legacy Scholarship Fund. You have the power to help make a difference in someone’s life. Please include The American Legion Legacy Scholarship Fund in your plans when making donations this year and let’s make Commander Gladden’s project a success! As a secondary area of focus for this year, Commander Gladden is asking for an increased involvement in The American Legion Boys State program. Since 1935, American Legion Boys State has been giving high school juniors the opportunity to learn about city, county and state government through "hands on" experience. Participants are exposed to the obligations and responsibilities of government officials of their respective office after being elected by their constituents within their own Boys State. Practical and objective training is received over the course of several days with legislative sessions, court proceedings, law enforcement presentations, assemblies and other activities. Participants are selected by local American Legion Posts, following recommendations by high school officials. Thousands of young men have learned the function and powers of government through American Legion Boys State. The Sons of The American Legion has been a proud advocate of Boys State with numerous Squadrons sponsoring participants over the years. Please consider increasing the sponsorship of Boys State participants, also members are encouraged to take an active role and assist with the conducting of their local Boys State program. Please contact your respective Department Headquarters to find out how you can be of assistance. The Americanism Commission, along with National Commander Gladden, would like to thank you in advance for your support and contributions to these programs.